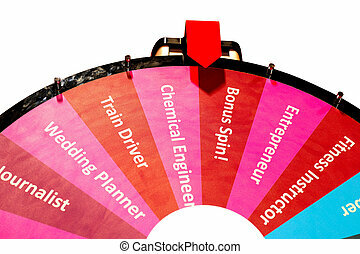 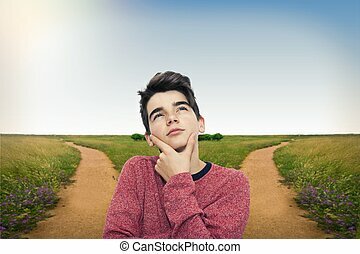 Career options, choices, decisions. 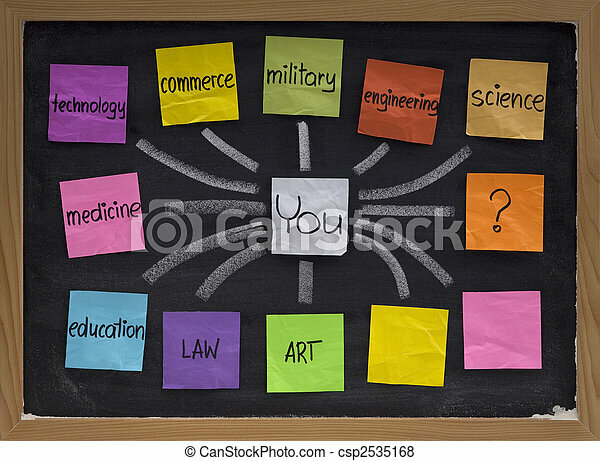 Career choices, decisions and questions, concept presented on blackboard with color sticky notes and white chalk. 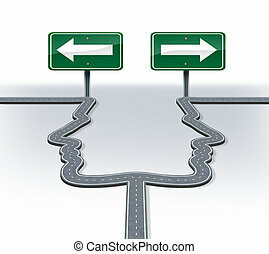 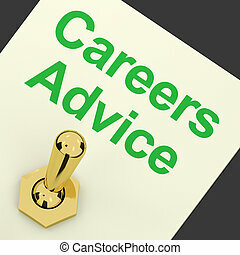 Career decision at a cross roads showing a fork in the road in the shape of two human heads as a the concept of a job dilemma choosing the direction to go when facing two equal or similar business options. 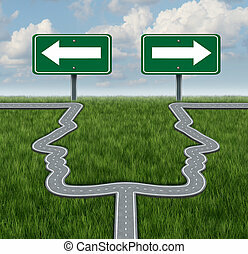 Strategy decisions and career choices at a cross roads with a fork in the road shaped as two human heads in a concept of a business dilemma choosing the direction to travel when facing two equal or similar options. 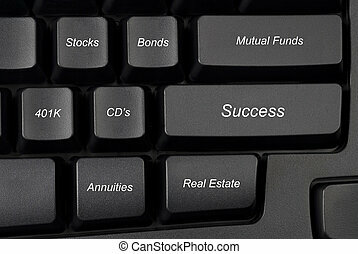 Computer keyboard keys with investment options provide guidance to success. 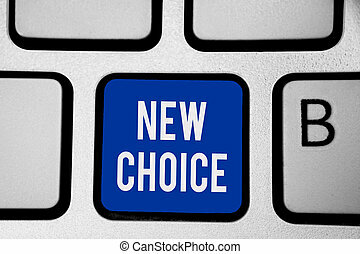 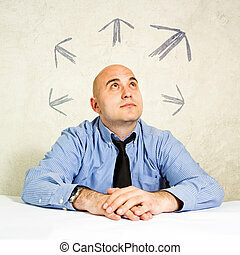 Business choice or business making decisions. 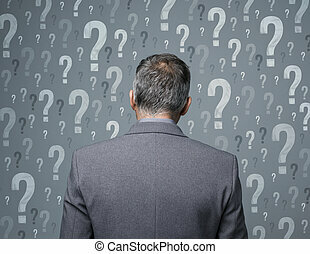 Businessman looking at arrows above him. 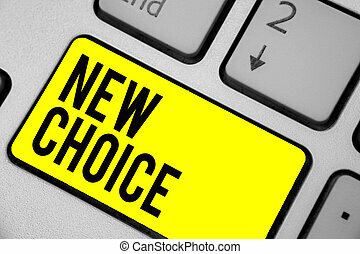 Concept of choice, choosing between possible solutions. 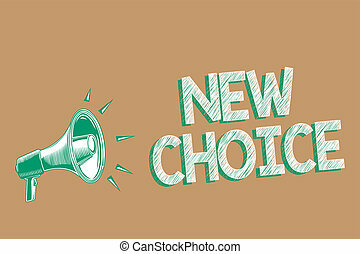 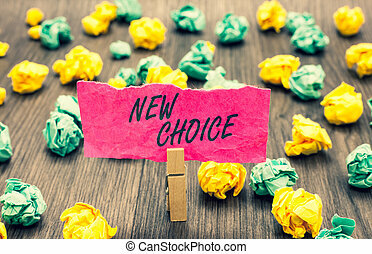 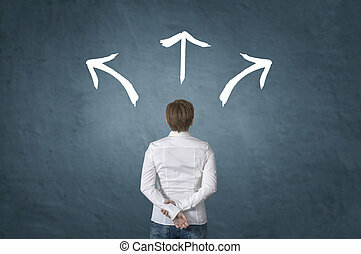 Making decisions for the future businesswoman standing in front of three direction arrow choices, left, right or move forward.